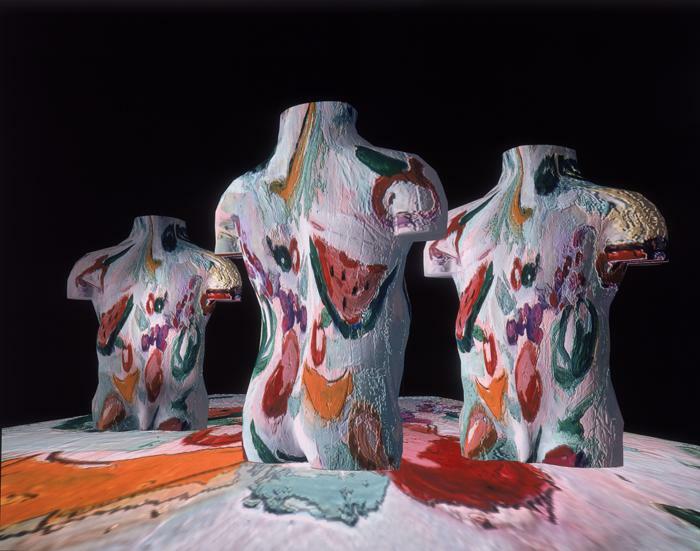 In the late 1980s and early 1990s, human figure data for the computer was very limited, and for the first half of 1989, Csuri was only able to incorporate figures by using texture maps of his paintings and drawings. In the second half of 1989, Csuri was given some simple human figure dataa torso and a male and female human head. He combined these data with his traditional art to create a number of works during this period.